Wonderful family-run Bed and Breakfast; perfect for treating yourself with few days of vacation or for your business trips. 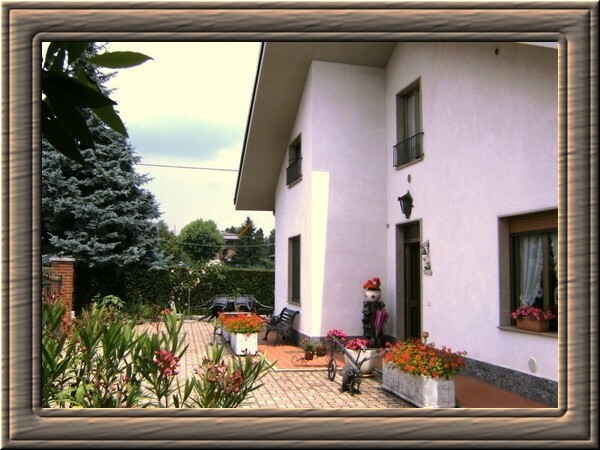 Italian-German culture, hospitality, kindness and simplicity are the cornerstones of our accommodation. TV, private bathroom, natural cotton linens. Both bathrooms have a shower or bathtub, soap and hairdryer. and near the main arteries connecting these cities. and is the best way to get there during the Trade Fairs. and a large garden with orchard is at our guests'disposal. all served in the living room. In the summer it's possible to have breakfast in the garden (on request). Treat yourself at any time of year!